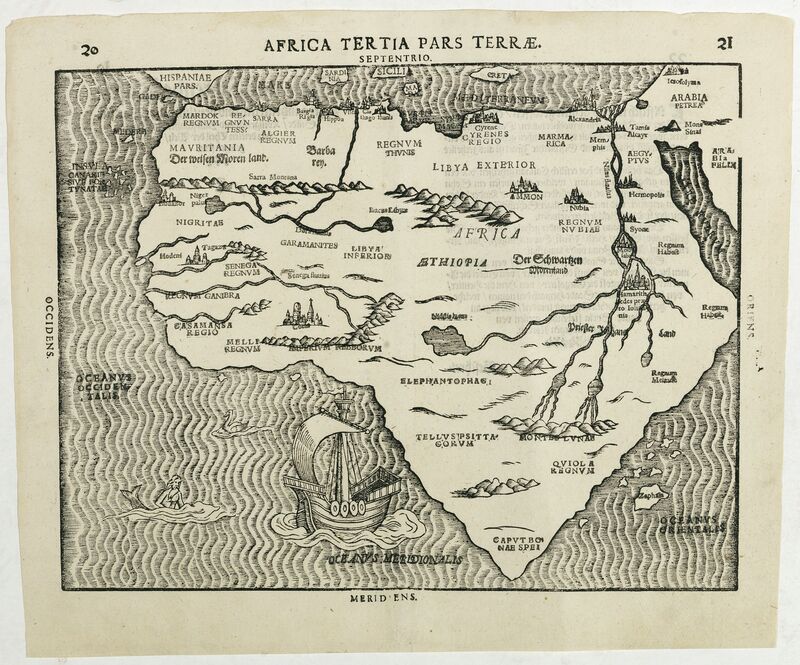 Old map by BÜNTING - Africa Tertia pars Terrae. Title: Africa Tertia pars Terrae. Size: 10.2 x 13.2 inches. Condition: In very good condition. Paper slightly washed and sized, still occasional minor spotting. Wide margins. Dark impression. This map of Africa has an unusual shape, tapering to a narrow angle in the south. Numerous rivers appear in West Africa and as tributaries to the Nile, and mountain chains and various kingdoms are mentioned. The sea with a galleon, a merman and above him a sea-bird. 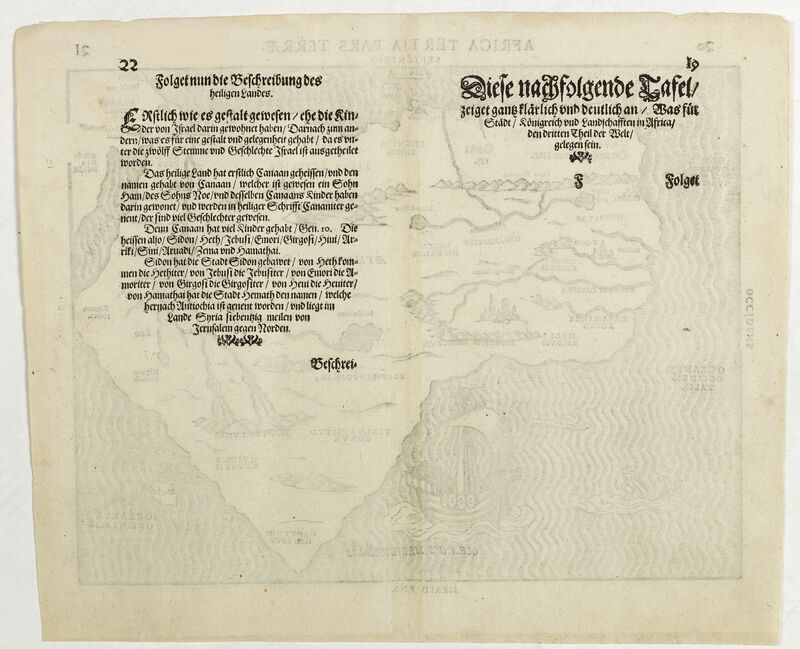 "The appearance of the map, especially when compared to other maps from this period, is unusual" (B.). "The sea is engraved in narrow wavy lines, and bears a galleon, merman and acquatic bird" (T.). 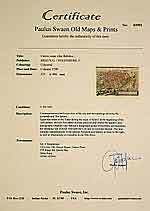 According to Betz variant 2 still with Cairo on the east side of the Nile, but "some of the place names shifted upward in such a way as to be printed almost over the geographical features". Reference: Norwich/ Stone, Africa, map 17; Betz 24.2; Norwich 17; Tooley, Continent 141 u. Taf. X (both dated. 1592)..